Pre-manufactured roof trusses come in a wide variety of styles. They are designed by the manufacturer for each specific building. Timber trusses also are built in a variety of styles using wood or metal joints. Although the total volume of lumber used by roof trusses is less than the total volume used by a set of rafters and ceiling joists, the web members of the truss cut the attic up and make it less usable. Steel and aluminium are recyclable and, unlike timber, are often cut to the correct size before they reach the building site, reducing waste. 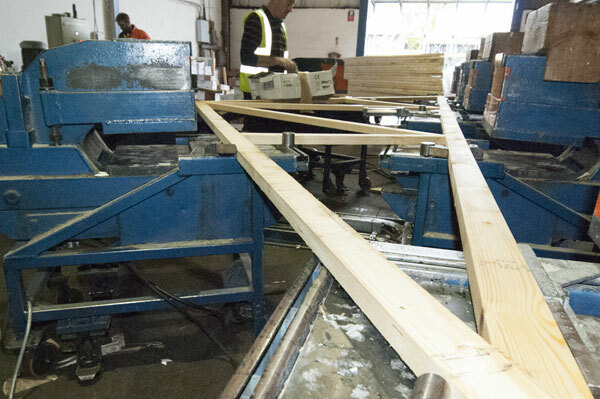 In most modern construction, things like trusses and other large framing elements are assembled offsite and then transported to the building site.